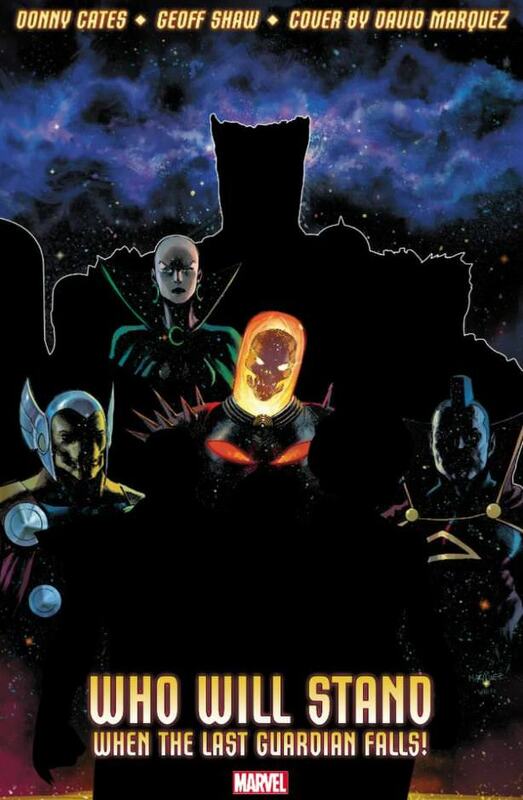 Marvel is starting an up all new Guardians team and are teasing the new members with a promo that asks; "Who Will Stand When The Last Guardian Falls!" The new series will be helmed by writer Donny Cates and artist Geoff Shaw. The promo is art from David Marquez. The new series is set to hit shelves on Jan 23. New reveals as of Oct 12th. 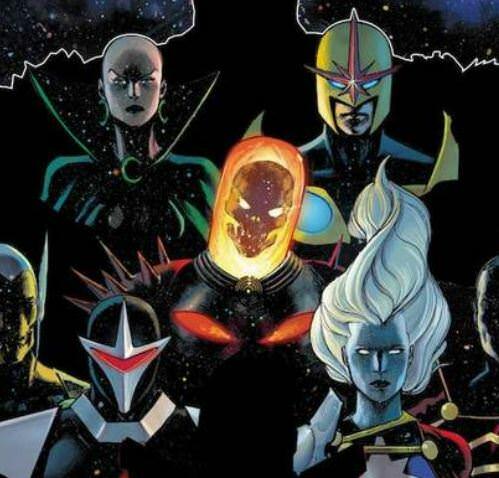 New Guardians include Phyla Vell (Did not see that one coming), Nova, and Dark Hawk. In the foreground? I have no idea what character that is going to be. However I have a feeling it will be very ........shocking! The team definetly looks very different than previous teams. StarLord, Silver Surfer, Groot and Adam Warlock. 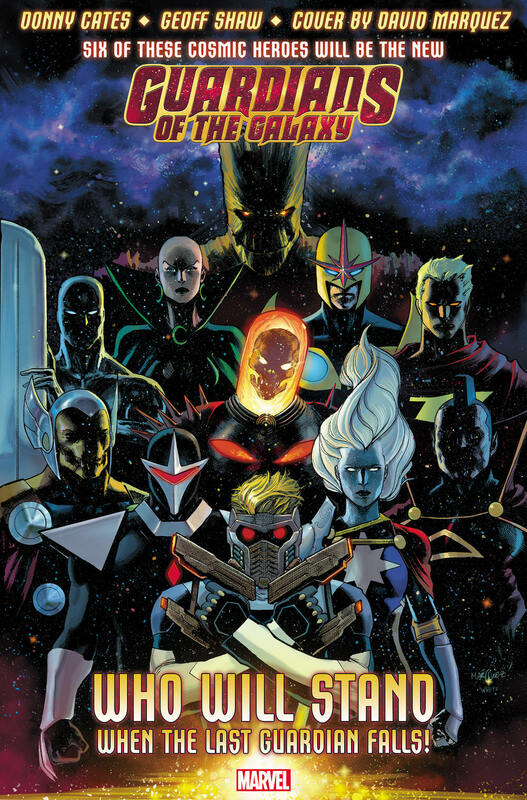 Ok this is one helluva team a wild collection of Marvel cosmic characters coming from all over the place. There are also some major power house characters in this crew, making it one of the strongest teams of Guardians perhaps ever assembled. Now it should be pointed out that not all 10 of these characters are going to be on the team. According to the poster 6 of these characters will be on the team. However, I don't really see how you can pick 6 nonpowerful characters of this crew. The only character in the mix that is not a powerhouse is Star Lord. From there you might say Moon Dragon, Dark Hawk and Groot. The characters after that are extremely powerful so at minimum you are going to get 2 ultra powerful characters in this group. Who do I see in the final 6 of the group.